Caption slip reads: "Photographer: Olmo. Date: 1953-05-15. Reporter: Simmonds. 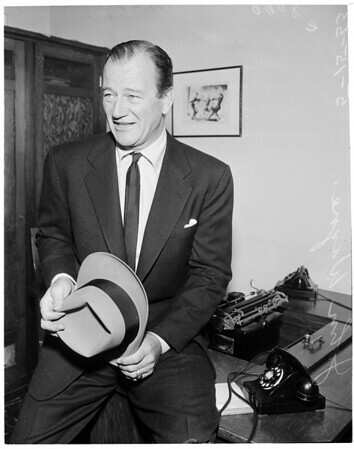 65-66: John Wayne. 67-68: Mrs. Esperanza Wayne."